This is my buddy. My girl. My bubba. My monkey. Me and you and you and me. I can’t believe I’m having a baby in 11 weeks. Even more than that, I can’t believe I’ll have two kids in 11 weeks. That’s only 11 more weekends to focus my love and attention on my little buddy. R works A LOT, so a lot of the time it’s her and me and me and her. My buddy. My girl. We’ve got it down, me and her. She’s a joy at drop off and pickup from school (always me). She’s a joy at bath time and we have our teeth brushing routine (usually me). How much is going to change when we add someone else in the mix? A lot. I know for the better, but it’s still hard to imagine having to share my time with her with another little one. I know she’s going to be a great help. If it’s a girl, I’ll have to change what I say – no more “you’re my favorite girl in the whole wide world” or even “I love you more than anything else in the whole wide world.” Are our bubble bath days over now that we’ll have a baby in there too? I’ll have to be sure to make special time for my girl – and what if I have another girl, can I still call her that? I do like the sound of “my girls.” Life is changing soon, so I’m trying to soak up as much of this quality time alone with my girl as possible. Even with all these thoughts, I know she’s going to be the most amazing big sister ever and she’s going to learn to love her little sister or brother so much. It’s going to be so cool to watch her develop into this new role she’ll be taking on as well. It’s going to be an adventure and we’re in it as a family. 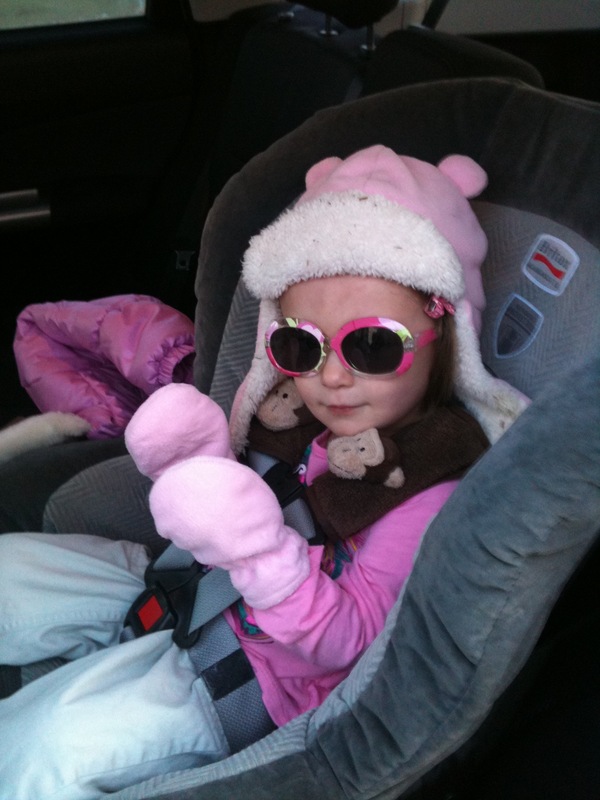 This entry was posted in Miss M., Motherhood. Bookmark the permalink. My mum had a hilarious habit of referring to all of her kids as “the beautiful one”. If someone called the house she’d answer and then say “so I guess you want to talk with the beautiful one?” and then we’d have to figure out which one of us it was who had a phone call. ;) It may have been a technique to limit the number of times she (or dad) rolled through all our names, their siblings names, and the pets names before getting to ours, (being 1 of 5 kids, it happened!) but it was a method that left us all feeling pretty confident that our Mum thought we were beautiful. Which is a nice feeling. When my nephew was expecting his little brother, and was NOT HAPPY about it, I explained to him that the love wasn’t going to be split between him and Noel, there was just going to be more love. At the time I was just thinking of placating a cranky 3yo, but in hindsight, it’s exactly how a family grows. Always adding more love. Thinking positive baby thoughts for ya’ll!